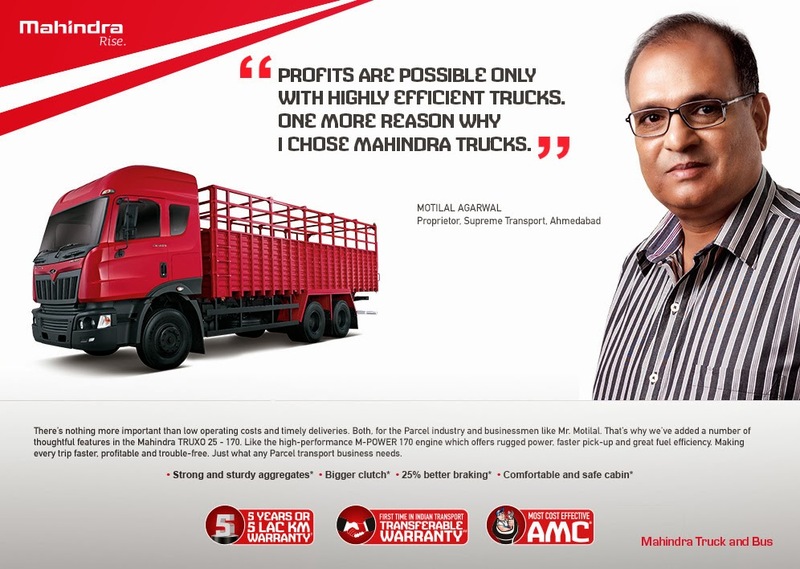 Are there reasons enough to buy Mahindra Trucks? Doubt it! There’s nothing more important than low operating costs and timely deliveries both for the Parcel industry and for businessmen like Mr. Motilal. And hence the company has decided to add a number of thoughtful features in the Mahindra TRUXO 25 – 170. Like the high performance M-POWER 170 engine which offers rugged power, fast pick-up and great fuel efficiency, making every trip even faster, profitable and trouble-free. This has been tailor made to suit the parcel transport business needs. Along with the above features, the truck is comfortable and has a safe cabin with 25% better braking and a bigger clutch. The strong and sturdy aggregates are an add on.